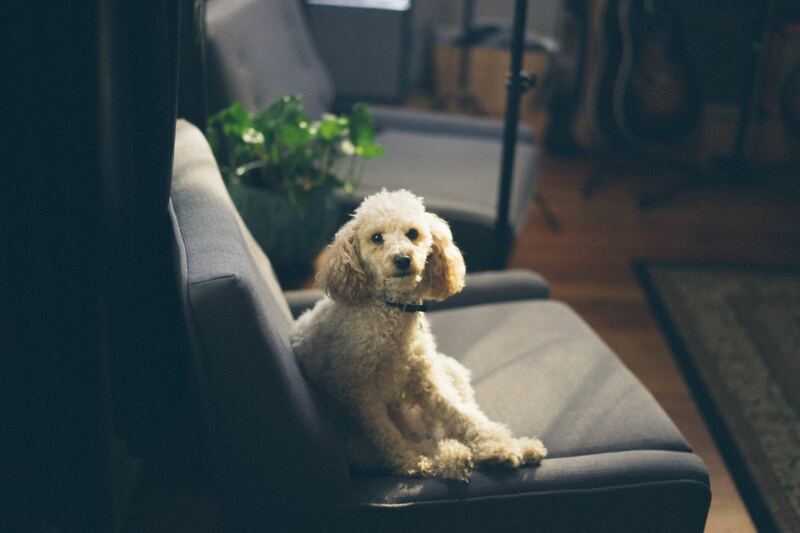 One of the most common complaints clients have is that their dog constantly jumps up on people. Jumping is one of the most difficult behaviors to eradicate because everybody has to be onboard with the training. You may be wondering, why do dogs jump up on people in the first place and what triggers it? Several years ago, dogs were accused of misbehaving because they were "dominant beings, attempting to rule our homes." If a dog pulled on the leash, he/she was considered dominant. If the dog stole a sandwich from off of the counter, he/she was considered an "alpha dog." If the dog jumped up, he/she was "attempting to gain rank." Thankfully, a better understanding of dog behavior has reduced the tendency to categorize and label dogs with generalizations. In reality, dogs are simply opportunists and will engage in unwanted behaviors because these behaviors are reinforced. The dog, therefore, pulls because it can, steals the sandwich because it is rewarding, and jumps up on people because it gets attention. 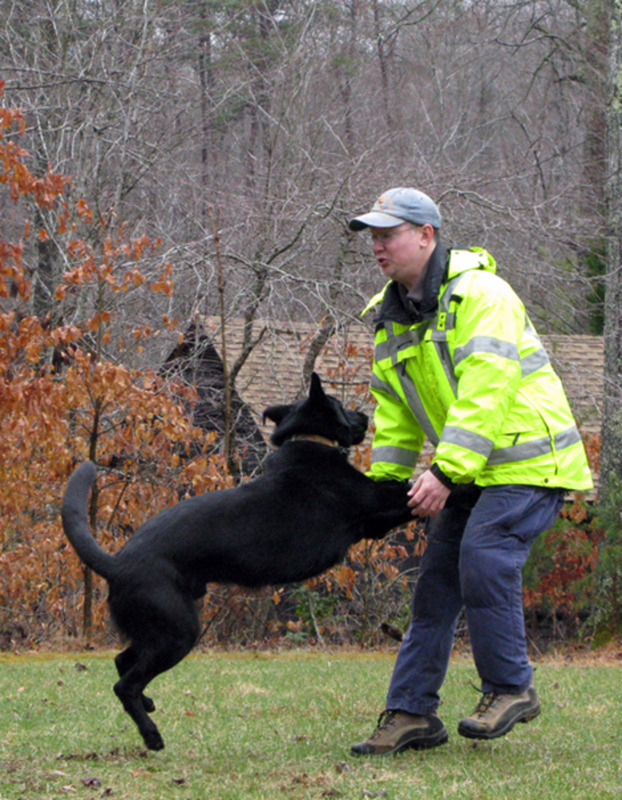 Jumping up on people is often part of a dog's greeting ritual. When dogs meet, they often sniff muzzles. This behavior is natural. Such enthusiastic greetings are often displayed towards the owners, friends, and even complete strangers. 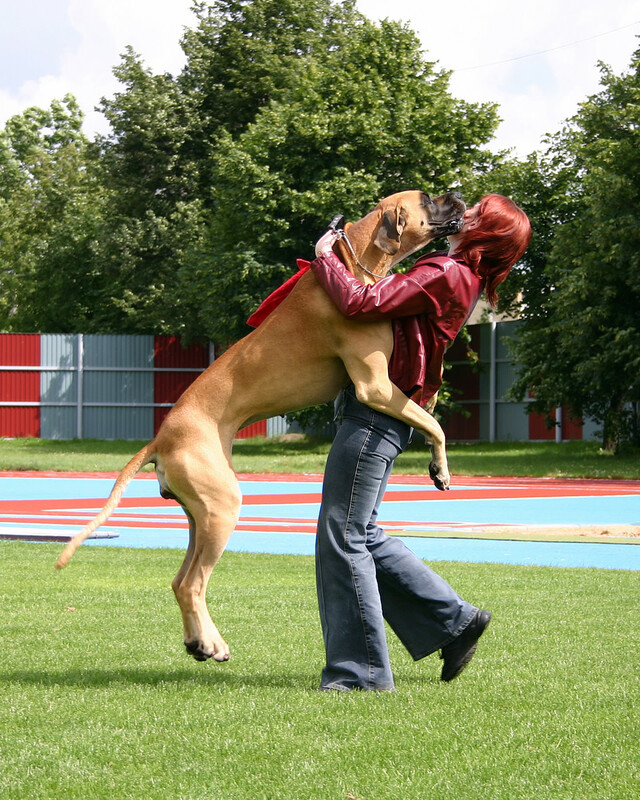 People are also taller than dogs, which is another reason why dogs may be compelled to jump up. The behavior of jumping typically starts early in puppyhood. A puppy that is engaging with people will jump up to say "hello" and get closer to the people they like. 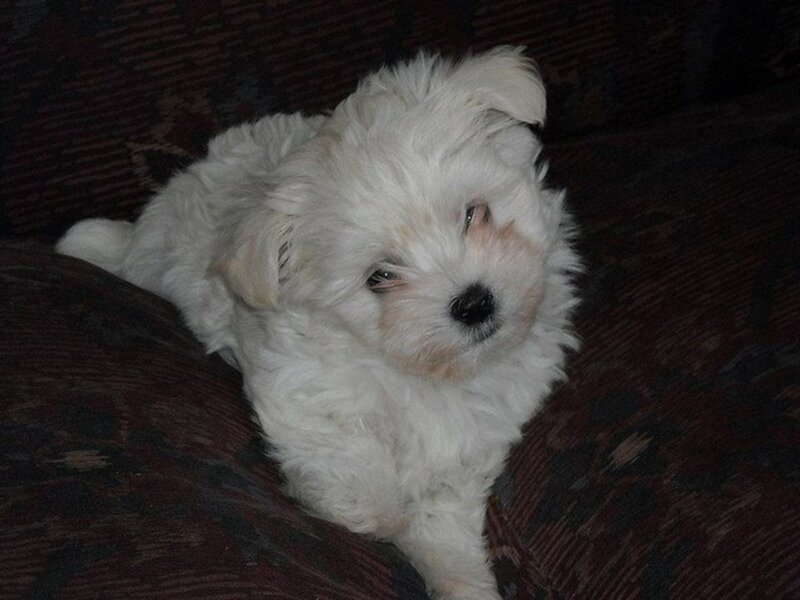 The puppy is then rewarded with affection or spoken to in a happy tone of voice. As days, weeks, and months passed by, the jumping happens over and over, so the puppy learns that jumping is an appropriate behavior to engage in when meeting people. Only 80 pounds later, when the dog scratches somebody or leaves paw prints all over a stranger's suit, does the owner realize that there is a problem. At this point, the owner decides it is suddenly time to correct the behavior and the poor dog has no clue why (it is not their fault for growing!). You can take them out in public without worrying about the jumping behavior. You are less likely to face a lawsuit when Rover ruins somebody's suit, scratches, or hurts a child. People are less likely to be scared of your dog. You set your dog up for success by having better control over them. As mentioned, dogs like to jump up on their owners as a way of saying "hello," especially after not seeing them for some time. Many dog owners unknowingly encourage jumping or try to discourage the jumping. Some methods are downright wrong, while others may even encourage jumping behavior. We now know that dogs are opportunistic beings and engage in behaviors that provide rewards. So, if you are scolding your dog for jumping, why is he/she still doing it? 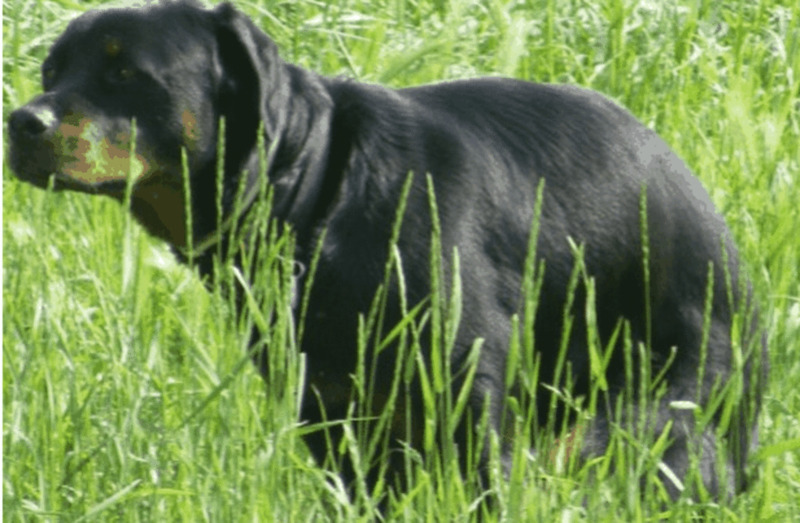 Let's take a look at some common mistakes dog owners knowingly or unknowingly make when they try to stop their dog from jumping. If Rover ignores your scolding/pushing/yelling, there is a reinforcer at play that you are not aware of. If you have been away from home all day and Rover has been alone, it is normal for him to be super excited once you step in the door. Let's say, however, that you ignore your dog's greeting because you have a million things to do—you need to take a shower, cook a meal, lay down on the couch, and watch your favorite show. While you are walking around, Rover decides to jump on you and bark. "Down!" You scold him as you push him off, but within a few seconds, he does it again. What gives? For many dogs, negative attention is better than no attention at all! When you tell your dog "down," you often make eye contact and may even push them down. For a dog that has been isolated all day with little mental stimulation, being looked at, talked to, and touched is a reward. In the dog training world, punishment is defined as something that suppresses the animal's behavior. Since scolding is not working and instead intensifies the behavior, we are not punishing but reinforcing! Of course, this does not apply to all dogs. For a shy dog, scolding may suppress the behavior in the long run, but there are better ways to train a dog not to jump. 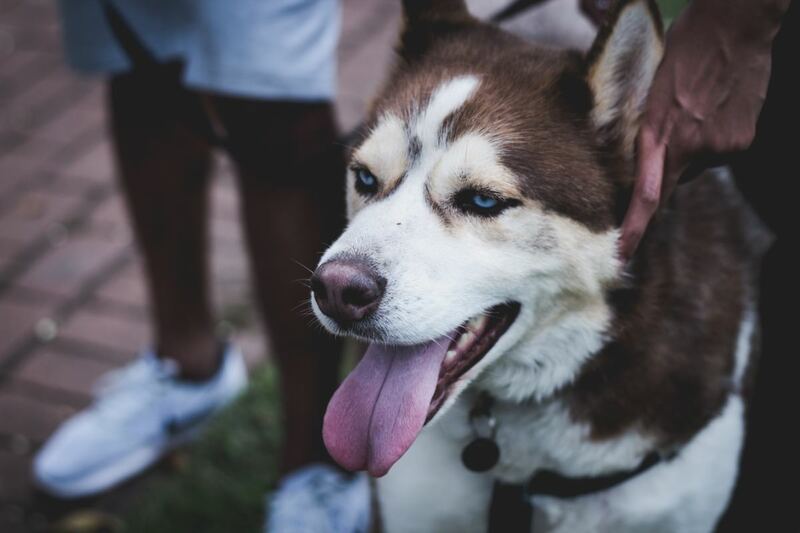 There are some dog owners who assume that it is acceptable for the dog to jump on neighbors who know the dog, but discourage it on people that the dog does not know well. In a similar fashion, some dog owners discourage jumping when they come home and then reward it when they are distracted by the phone and start petting the dog while it stands up on two feet. Dogs need black and white rules; shades of grey confuse them. A dog cannot be taught to discriminate who can be jumped on from who cannot, and allowing inconsistent rules sets dogs up for failure: it puts the behavior on a variable schedule. A variable schedule takes place when you reward your dog at certain times and not others. A variable schedule is a great way to maintain a behavior and prevent it from extinguishing. It is similar to the addiction of playing the lottery where you feel more like playing if you win random rewards. It is often an innate behavior to move away when a dog jumps. 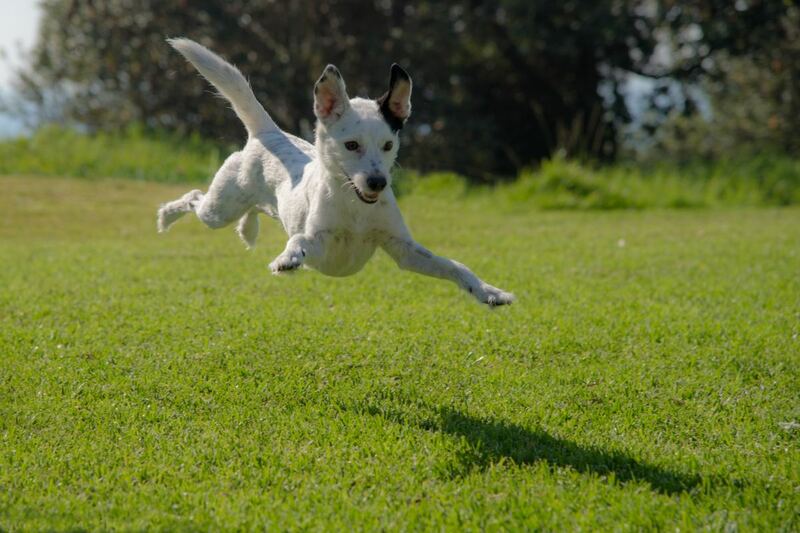 This action often triggers more jumping because dogs are attracted to movement. The same applies to petting a dog that tries to playfully nip the hand; the quick withdrawal of the hand will attract the dog more than simply going limp. Suddenly moving away from a jumping dog will often trigger more jumping. If you carefully observe dogs playing, you will notice that the dog that moves away is often more likely to be chased because it is seen as an invitation for action. 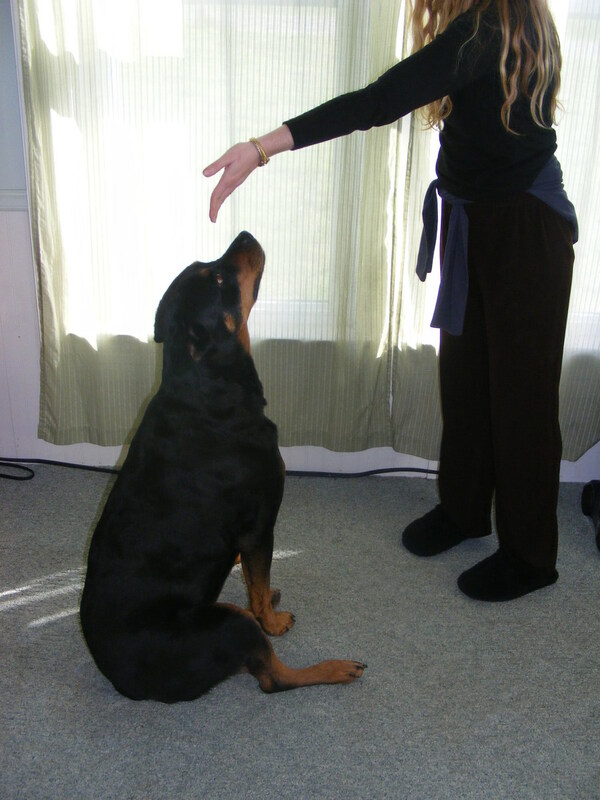 When teaching recall exercises, it helps to walk backwards to attract the dog to follow! This also explains why kids are often jumped on as well—their fast withdrawal movements attract dogs to action. Incorrect and/or Abusive Behavior "Corrections"
Kick your dog every time they jump. Step on their hind feet while they are jumping. Squeeze their front paw until they yelp. Pinch the dog every time they are jumping. Knee them in the chest. Spray your dog in the face with a water and vinegar or a water and lemon juice concoction. Blow an air horn in their ear. Swat them in the nose with a newspaper. Hang them by their collar. The above corrections are downright wrong and even abusive! What will your puppy or dog learn from the above behaviors? To fear you and not come close to you! Remember that the behavior of jumping up is well-meant, and simply a way to say "hello" and be friendly. 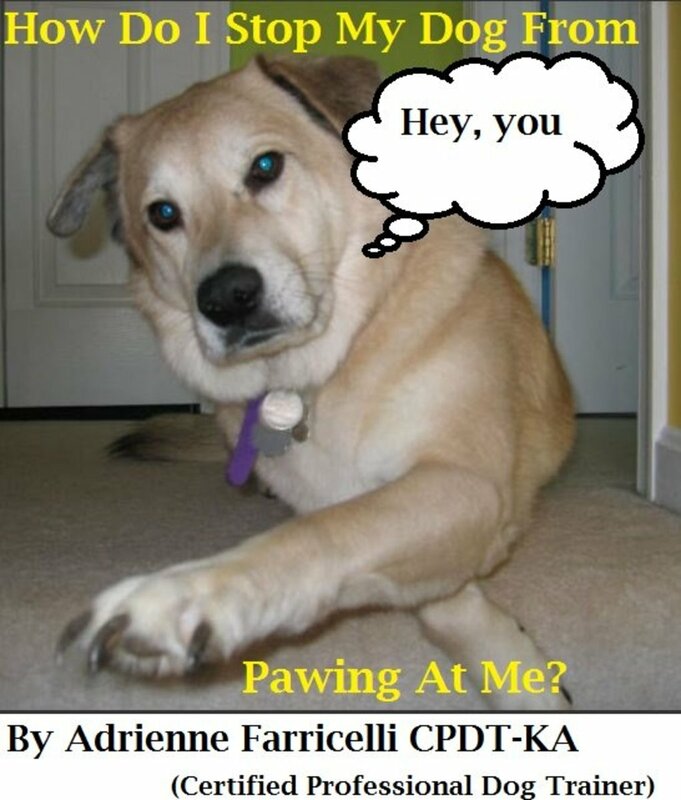 If your dog is happy to see you and has a history of being reinforced for jumping up, correcting them using the above methods is the same as punching a person in the face because he simply wants to shake hands with you! Let's talk about what you can do to decrease this behavior. We now know that dogs jump up on people to say hello, that they are opportunistic beings, and some may prefer to be scolded than given no attention at all. We also know that hitting, kicking, and pinching is the best way to make your dog fearful of you and is considered abusive. If Rover was alone and bored all day, it is normal for him to enjoy a bit of negative attention (scolding, pushing), and we all know he enjoys positive attention (petting, eye contact, talking to him), so there appears to be little space for improving the situation. If you cannot get mad at your dog and you cannot touch, look at, or talk to your dog, there is not much left to do, so what do you do? Simple: NOTHING! Your first step, therefore, is to completely ignore your dog when he is excited and jumping. Come home and act aloof as best as you can. If he jumps on you? No deal. Simply turn your back away and go on with your errands. This process is called negative punishment. Punishment, in dog training terms, has nothing to do with aversion-based corrections. Punishment simply refers to reducing unwanted behaviors and possibly extinguishing them over time. In this case, we are removing something the dog likes (attention) for the purpose of suppressing the unwanted behavior. This means not looking at the dog, not talking to the dog, and not touching the dog. The only thing you can do is to turn your back to your dog the moment he jumps on you. This way, you are removing yourself and giving your dog the most boring part of yourself. If your dog still jumps on your back, it may be worth it to briefly leave the room until they calm down. 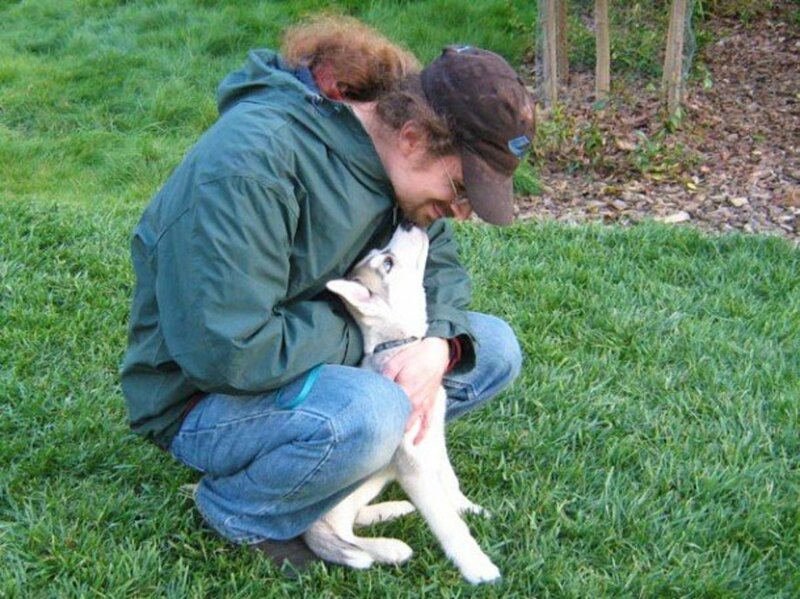 Remember how Rover decided to jump up after the owner ignored him coming home? This is a behavior you must anticipate. In dog training lingo, it is called an "extinction burst." In other words, if Rover is used to jumping up on you and getting attention (either the positive or negative type), he may feel more compelled to jump because his jumping behavior is not working! For example, imagine you get into your office each day effortlessly by opening the door. One day, the door does not open. What do you do? You will likely push it, force it, and try harder to make it open. The same thing applies to your dog. He is most likely thinking, "Hey owner, what is going on? Usually, I jump on you and you pet me or you get mad at me! I will try harder and jump more just to get you to react!" Stay as firm as you can on the training program and you will see results. The jumping behavior should start fading. It is best if you ignore the jumping dog and give your dog an alternate behavior. So, if your dog learns that jumping yields no results, wouldn't it also be great to teach an alternate behavior that yields results? The power of positive reinforcement will be your best friend. It is scientifically proven that behaviors which are rewarded are likely to be repeated over time. Edward Thorndike's "Law of Effect" claims, "responses that produce a satisfying effect in a particular situation become more likely to occur again." So, if jumping is ignored, then why not reward the dog for a default behavior such as sitting? This is a win-win for everyone! Your behavior modification program cannot be effective if you do not involve the participation of all people. Have guests turn their backs on your jumping dog and ask for a sit instead. Once sitting nicely, your guests can then go ahead and pet the dog. This helps discourage jumping and also rewards the dog for demonstrating good manners and self-control. Everyone needs to participate in this training for it to be successful. It is helpful to organize sessions with other people or join a training center that focuses on teaching good manners. Set up sessions with friends, family, and other dog owners. Have them approach your dog and turn around if the dog jumps, or reward your dog with a treat if they sit nicely. Dogs do not generalize well, so it helps to have many people implement this training in different scenarios and places. 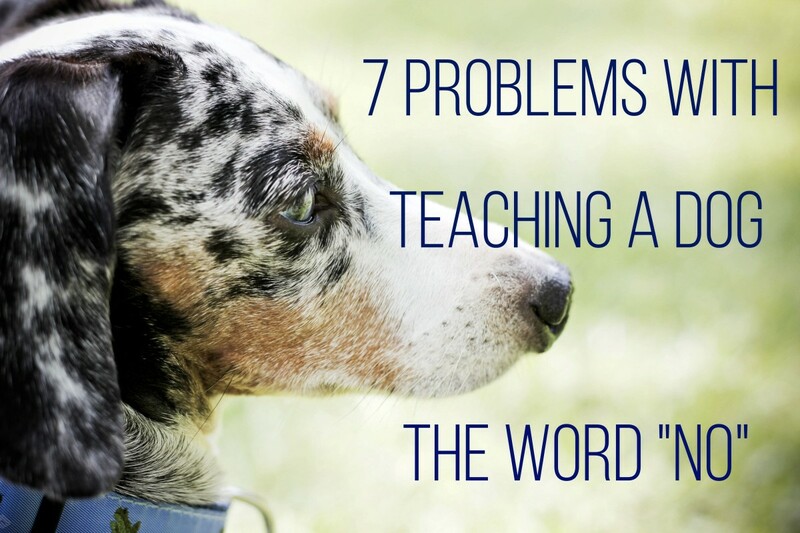 The more you work on this, the more your puppy or dog will learn the rules of good manners. Do: Play "The Chill Out Game"
Ian Dunbar offers the "Jazz Up and Settle Down" program, whereas respected dog trainer, Dee Ganley, offers her version called, "The Chill Out Game." This is a great game and I encourage owners of hyper dogs to implement this because it reinforces the sit command and rewards self-control. It provides dog owners with an "on and off" switch for arousal levels. How to play "The Chill Out Game:"
Get your dog revved up by playing with them. In the midst of the excitement, ask them to sit. Reward the sit by getting your dog revved up again. Yes, that is why I am here! No, we really worked hard on this! My dog has taken to bouncing off of me and nipping or pulling my clothes if I ignore her. She has learned that if I redirect she will get a treat. So she does the unwanted jumping to get me to tell her to sit, to get a treat. What do I do now? Congrats, you have a very smart pup! In training lingo, you are looking at a chained behavior, in other words your dog has learned that the chained behavior of jump, nip/pull clothes lead to a treat, sort of like a dog who learns to perform several chained tasks such as pulling the fridge open, grabbing a beer and bringing the beer to the owner. To break such a chain, you can redirect her before she has a chance to engage in the bad behavior, e.g as soon as she approaches, ask her to sit or target your hand before she even gets to jump. At some point, she'll learn that it's no longer the nipping or pulling clothes that starts the chain but just the approach towards you. 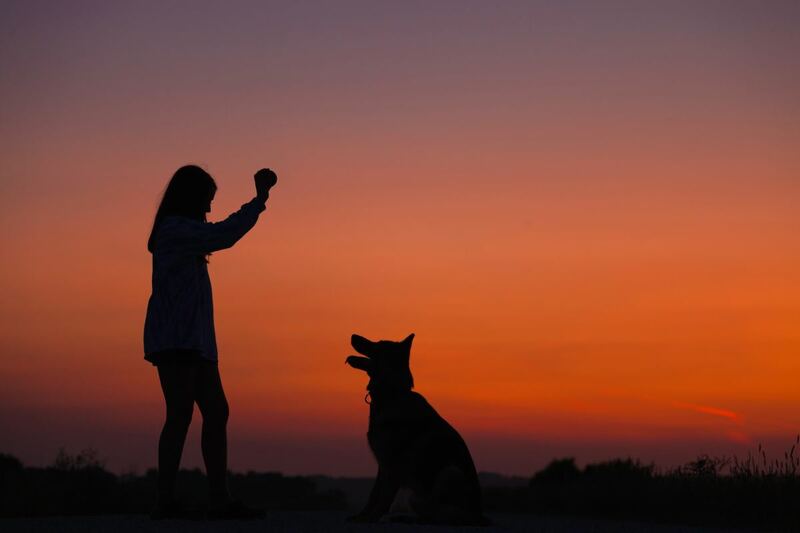 Also, it may help to drain your dog's energy further with mental games so that your dog has less need to want to jump and pull clothes in the first place. What do I do if other people won't cooperate with my training plan? People in my house don’t want to participate in the training, but they complain about the jumping. Visitors don’t listen to instructions even if I explain the situation. They ignore me, but I don’t want to seem rude by forcing them to follow my advice or order them more firmly. You must be the ambassador for your dog. Allow your dog to interact only with people who comply with your requests. Keep your dog at a distance from non-compliant guests. Alternatively, you can train your dog to lie on a mat if greeting guests entails jumping. You can try to train your dog to search for treats on the floor to prevent jumping when guests are over too. My Pembroke corgi like to jump at the baby gate when we reach home. We were worried that he might hurt himself when he's jumping. What shall we do? When we open the gate he'll bite the end of our pants and follow where we go. Is he angry or he want to play with us? Please help. Thanks for voting, looks like your BC got the message clearly and even added to it! Gotta love that smart breed! Several years ago, I would take my neighbor's family's Border Collie mix for walks, first in the neighborhood, and then on day-hikes. When Gurr reached a certain size, his enthusiastic jumping up got to be a nuisance. My solution was similar to yours. 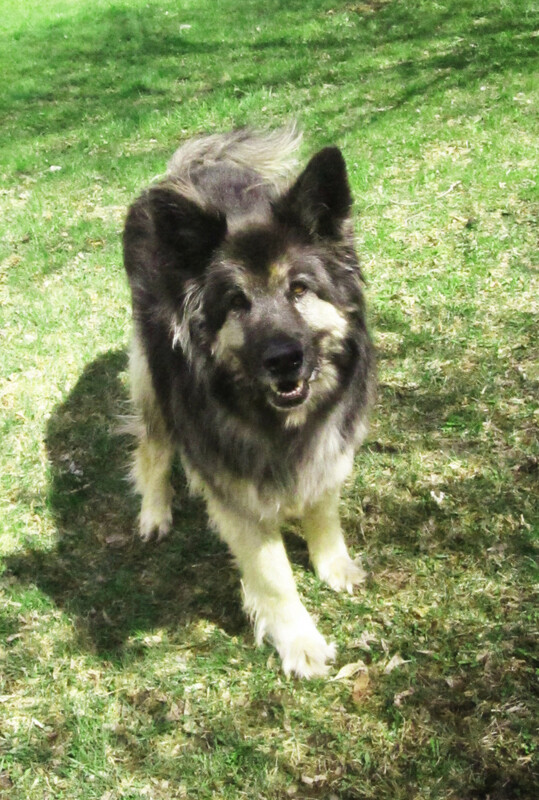 On our walks, whenever Gurr turned around and gave me The Look, I'd give him the Sit command, and then pet him. He got the message very quickly, and even generalized it to include preemptive lying down and rolling over on his back, in order to ask for a tummy rub! But BCs are the Einsteins of the canine world. It could be her way to train you to walk faster! Try to ignore the jumping and get near the door only when she is not jumping and later on when she is sitting. 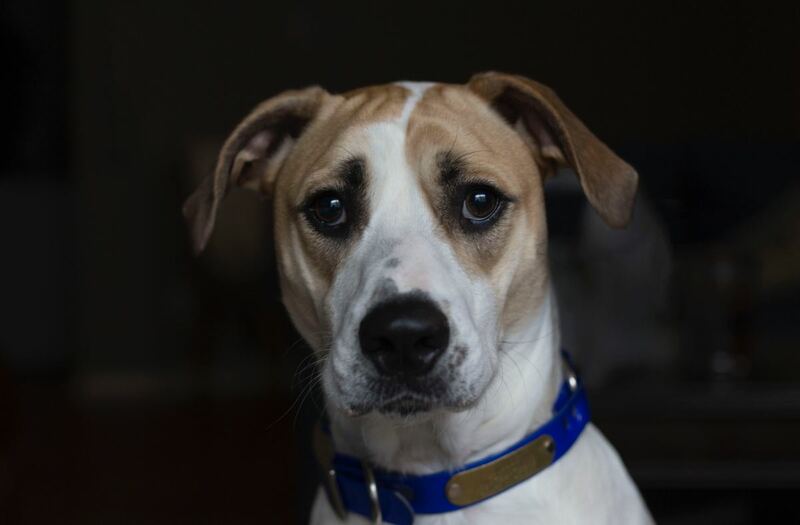 I fostered a lab last year that jumped at the sight of the leash, the moment she jumped, leash went out of sight and I took two steps back, only once she stopped jumping and calmed down I walked forward. It took about 15 minutes to advance to her in a very small space but we made it. You can do it! Just watch for those extinction bursts and teach an alternate behavior and you should see results, my dogs know they must sit if I must open the door, indeed touching the doorknob has became a cue and now they sit by default without me saying a word! best wishes! I only have one dog that jumps on me in the house. I can't seem to get to the door quick enough to let her out, so does she think jumping on me will get me to move faster? I can be guaranteed a jump on from all 3 dogs when I go outside by them. They are happy to share the back yard with me. This will be a challenge in ignoring my youngest who jumps on me in the house. It will be harder on me than her. I can feel the giggles coming on now, since she can get frustrated if I ignore her anyway.